Suitable for EOT cranes, coke oven machines & other equipments. Available in laser & photo electric models. Available in 10-30 V (DC) / 24-240V (AC). Concept of operation: KAKKU anti-collision device work on the principal of retro-reflective sensors.KAKKU Anti-Collision Device Sensing distance : 1.5 mtrs. to 15 mtrs.Applications: The anti-collision device prevents collision between two E.O.T cranes or other electrically operated moving elements. 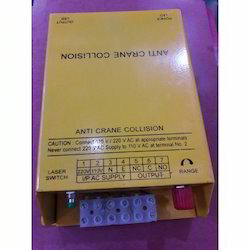 Looking for “Anti Collision Device”?